I haven’t posted anything in the last two weeks or so because I was visiting my family. It was a great trip, but there’s never enough time to see everyone and everything I want to see! I was planning on doing a Song of the Month about October, but of the two songs I know that are called “October,” one sounds really depressing and the other has lyrics that I can’t understand. They’re good songs, though. 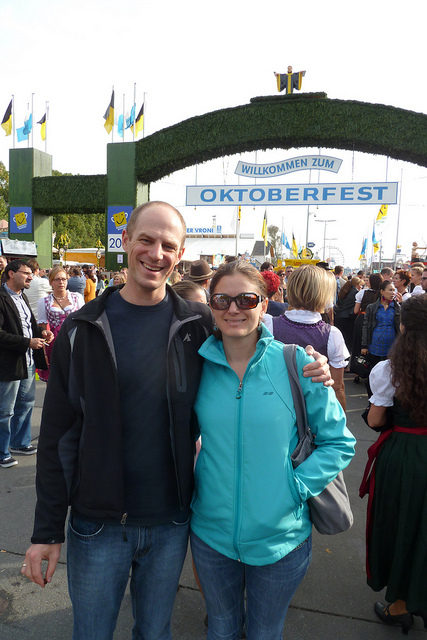 So instead I thought I’d write a bit about Oktoberfest in Germany and other places that have German-speaking populations. The name is actually a bit confusing, since it refers to a big party that takes place mostly in September (the weather’s nicer in September generally). So even though the festival actually finished over a week ago, I still thought I’d talk about it a bit. 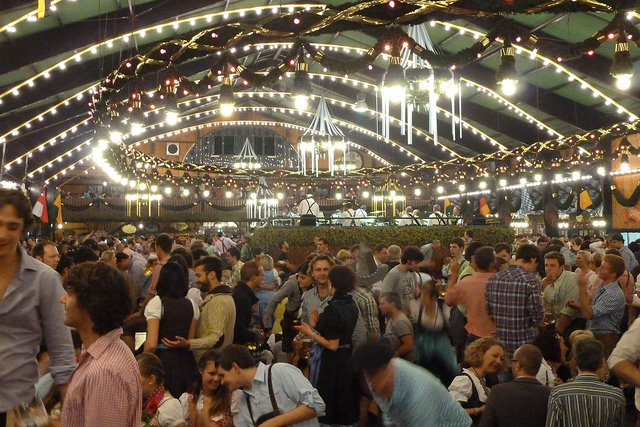 The biggest Oktoberfest in the world is in Munich, Germany, and around 6 million people visit it every year. 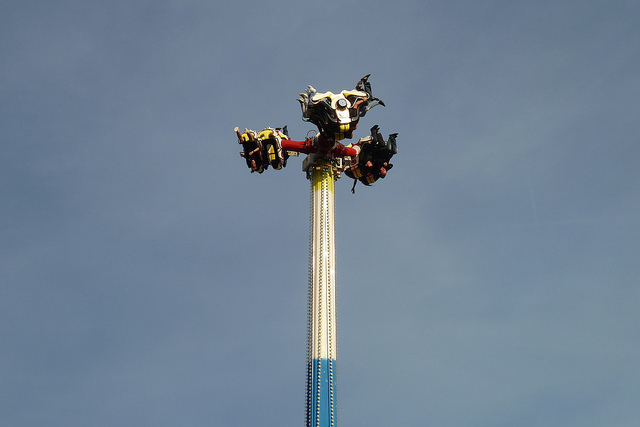 There are many rides and games for families, a ton of food, and a LOT of beer. People drink beer one liter at a time there, generally, and it’s pretty impressive to see the waitresses carrying 8 or more liters of beer at once! 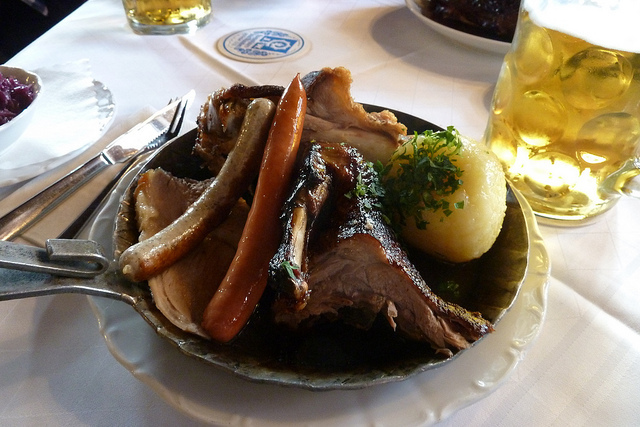 A light snack before Oktoberfest. 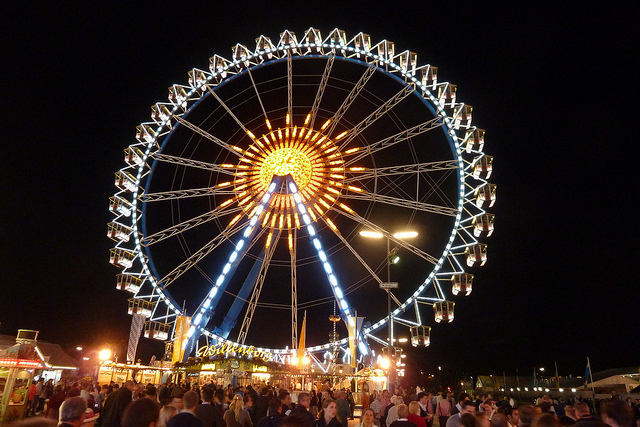 Since I lived in Germany for two years, I have visited Oktoberfest a couple times. But the first time I went it was a weekend in 2001 and it was a pretty bad experience since it seemed like all 6 million people were there at once. This was a really fun ride! I’m the one in the black shoes with white stripes. 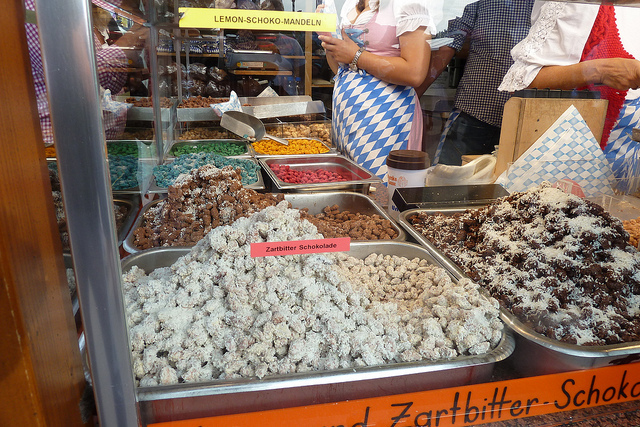 I went again in 2013 when my wife and I took two students from my German class to visit Germany. We were staying with friends, and that time we had a much more enjoyable, positive experience. So all of the pictures in this post are ones that I took on that visit. A huge variety of roasted, flavored nuts! 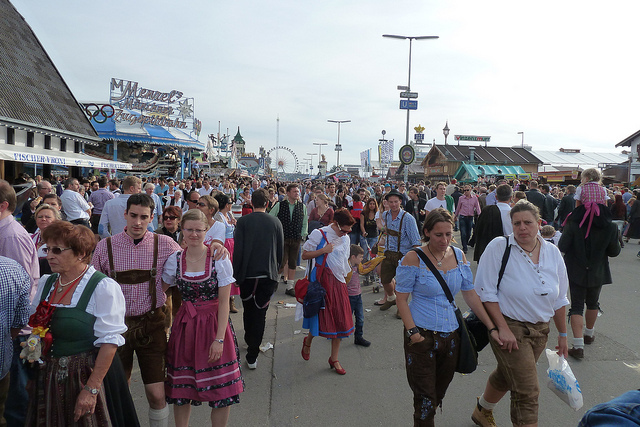 Another thing that’s interesting about Oktoberfest is the clothing. Many people wear traditional southern German clothing. It adds an element of fun to the whole experience, even if you’re not wearing the traditional clothing. The men wear Lederhosen (“leather pants”) and the women wear a dress called a Dirndl. This link also explains more about the parts of the Dirndl, as well as how to tie the apron: careful, since it can either signal that you’re married, available, or looking for love! Not everyone wears the traditional clothing, but most people do. Well, that’s it for now. I’ll try to post a Song of the Week in the next few days, since it’s been a few weeks since I last did one! I hope you’re having a great day, a great week, and a great October!